Located along the Fox River, in the western Chicago suburbs, Geneva, Illinois is a hidden gem. With a population of nearly 22,000, Geneva has experienced considerable population growth in recent years, as more and more families move from Chicago to the far west suburbs. It’s no surprise that Geneva is a popular choice among both families and young adults, as the area truly has something for everyone. Offering a quaint small town charm and a sense of community, Downtown Geneva is thriving with a variety of eclectic shops and delicious local restaurants. Geneva is also home to several notable attractions, including the popular outdoor shopping center – Geneva Commons, the Geneva History Museum, Kane County Cougars Minor League Baseball, and the Fabyan Forest Preserve. Geneva hosts a number of community events and festivals each year, which attract visitors from across the Chicagoland area. From Swedish Days in the summer to Festival of the Vine in the fall and the Geneva Christmas Walk in the winter, there’s always something going on in Geneva. 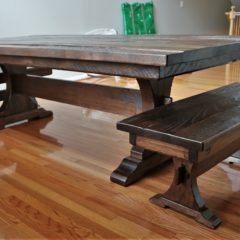 Rustic Elements Furniture is a Geneva furniture shop that specializes in custom handcrafted wood furniture. Our showroom is located in nearby Joliet, and we pride ourselves on providing the highest quality furniture possible to customers across the Chicago suburbs. 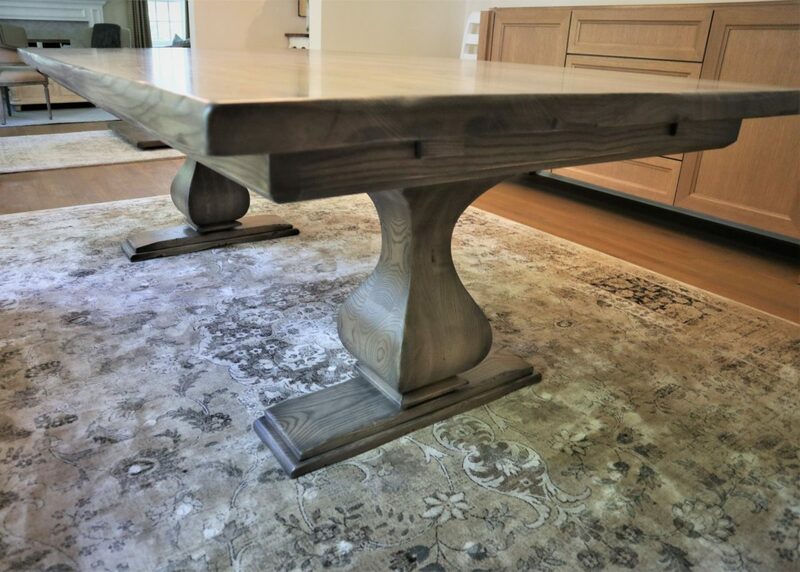 Each piece of furniture is built using only the best wood available, and our tables are not affected by nail polish, bleach, wine, or other household chemicals. They are also dent and scratch resistant. 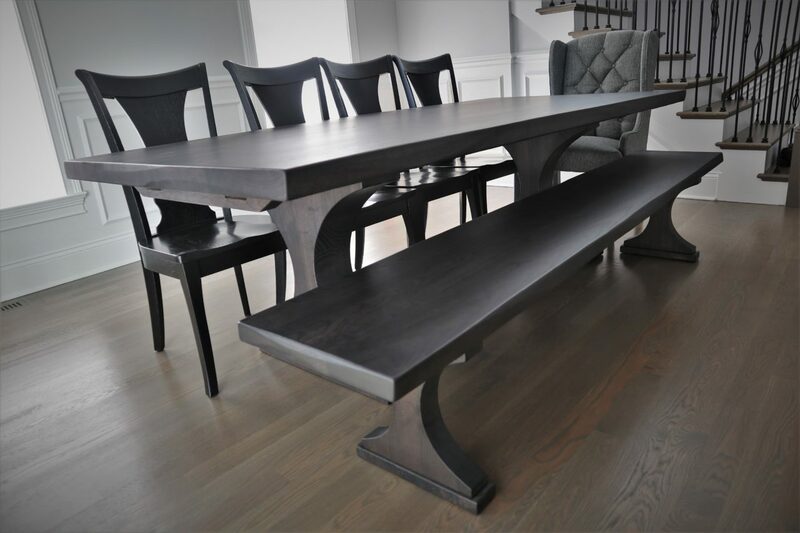 While we specialize in custom tables, we can build almost any type of wood furniture, including: benches, custom storage furniture, media centers, and office furniture. Our top priority is the satisfaction of our customers. As a local business, we consider our customers to be our neighbors, and we want to make sure we build a piece of furniture they will love and cherish for years to come. That’s why we work with you every step of the way to ensure we bring your vision to life. You get to choose every aspect of your piece, including style, type of wood, color, size, and level of distress. 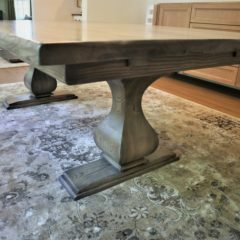 If you don’t have time to wait for a custom piece of furniture, we also have a few pieces available for immediate purchase. Explore our current inventory and see if anything catches your eye! 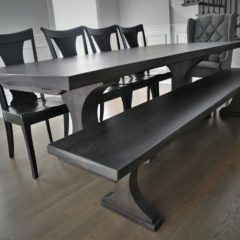 Interested in a custom dining table for your Geneva home? 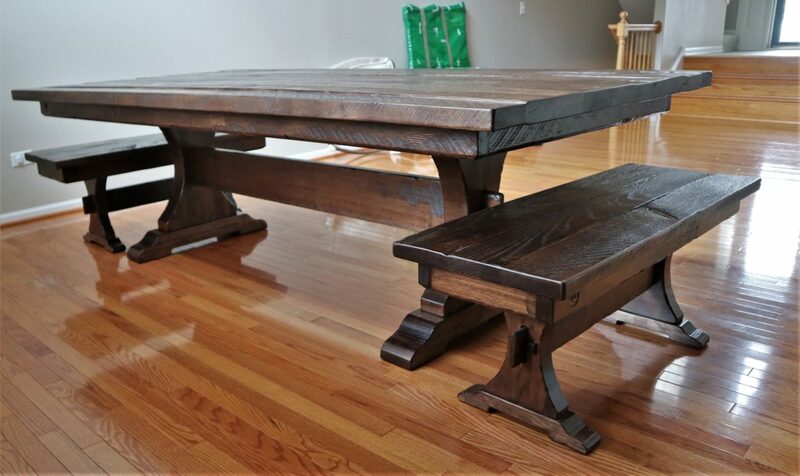 Contact Rustic Elements Furniture today or call us at (847) 401-7753 to speak with our owner, Scott.